Gear IconX: How can I measure my heart rate using my Gear IconX (SM-R150)? 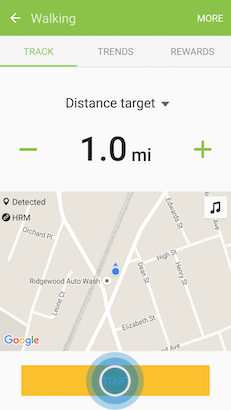 Measure and record your heart rate on your mobile device’s S Health app or any compatible 3rd party fitness apps (the built-in heart rate sensor is compatible with any app supporting BLE Heart Rate Profile). Warning: This feature is intended for fitness and informational purposes only and is not intended for use in the diagnosis of disease or other conditions, or in the cure, mitigation, treatment, or prevention of disease. Caution: Do not touch the Heart Rate Sensor with your finger when handling or while in use for measuring heart rate, as this may affect accuracy of the device reading. Do not put the earbuds in your ears without earbud tips. Doing so may cause injury. Do not pull the earbud tip excessively. The earbud tip may tear. Note: The provided information refers to the accessories sold in Canada. The available settings and options may differ from accessories sold in other countries. The accuracy of the information and data provided by this device and its related software, including heart rate readings, may be affected by factors such as environmental conditions, skin condition, specific activity performed while wearing the device, settings of the device, user configuration/user-provided information, placement of the sensor in the ear, and other end-user interactions. • The accuracy of the heart rate sensor may be diminished if the heart rate sensor does not make contact with your ear. 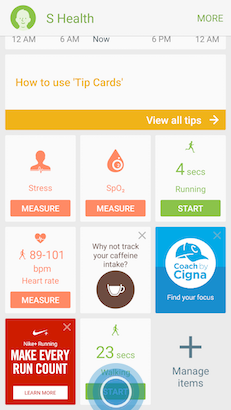 • Use the HR feature only for measuring your heart rate. • Do not look directly at the heart rate sensor’s lights. • The amount of time required for the heart rate sensor to measure your heart rate may vary depending on measurement conditions and surroundings. • Cold ambient temperatures may affect your measurement; during winter or cold weather, keep yourself warm when checking your heart rate. • If heart rate measurement is not working properly, adjust the position of the earbuds so the heart rate sensor sits firmly against the insides of your ears. For example, rotate the earbuds slightly to the right, left, up, or down, and try measuring again. If that does not work, change the wingtip size and try measuring again. • Smoking or consuming alcohol before taking measurements may cause your heart rate to be different from your normal heart rate. • Do not talk, yawn, or breathe deeply while taking heart rate measurements. Doing so may cause your heart rate to be recorded inaccurately. • Because the heart rate sensor uses light to approximate heart rate, its accuracy may vary due to physical factors that affect light absorption and reflection, such as blood circulation/blood pressure, skin condition and location and concentration of blood vessels. • If obstructions between the heart rate sensor and your ear, such as body hair, dirt, or other objects, prevent the light from reflecting evenly, measurements may be inaccurate. • If the heart rate sensor is dirty, clean it before use. • If the heart rate sensor is damaged, measurements may be inaccurate. • If your earbuds become hot to the touch, stop measuring and remove them from your ears. Extended exposure of skin to hot earbuds can result in burns. 1. Check the direction of each earbud and insert them into your ears with the wingtip facing upwards until they sit comfortably in your ears. Adjust the earbuds by rotating them to the left or right to fit your ears. 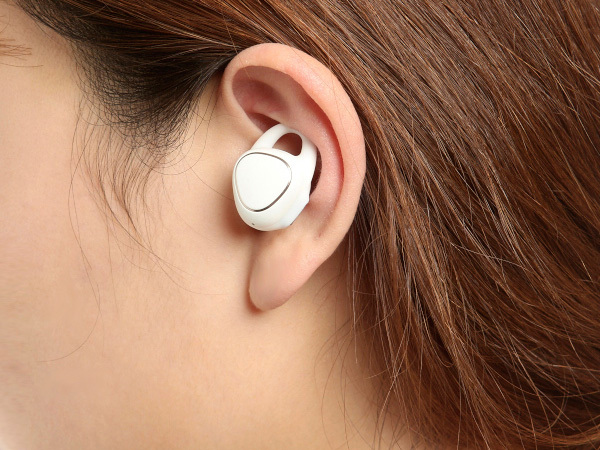 Then, the earbuds will automatically turn on and emit a beep. Note: The heart rate sensor will automatically detect that you are wearing the earbuds when you put them on. 2. Before proceeding, make sure the Bluetooth feature is enabled on your mobile device. 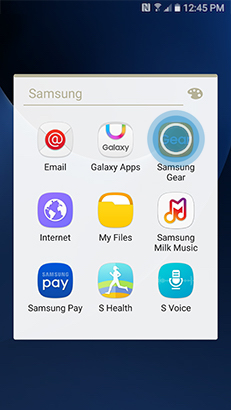 Then, navigate to and touch Samsung Gear. 3. Touch OPEN S HEALTH. 4. Scroll to view more workout items. 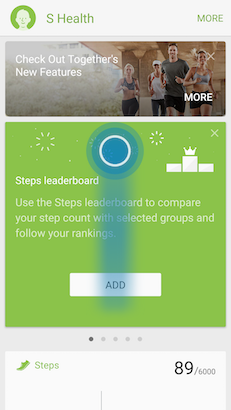 Select between Running or Walking. 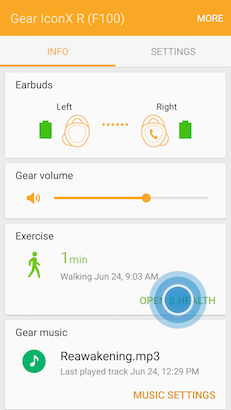 For this example, touch START on the Walking icon. 6. 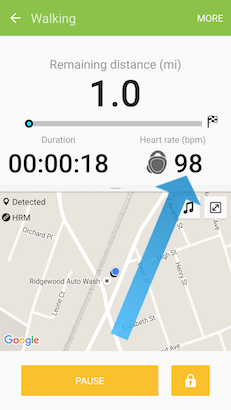 Your real-time HR will be displayed under Heart rate (bpm).